I write a project that we need to apply today and while I prepare d documents I open d link from our partners from Spain. Our Bulgarian partner sent me d link. We are project partners in this project with my organization KONTEXT. But d story will not be for d project but for something else that I find enormously GREAT, something that inspire me a lot. And I press d link for Isla CreActiva, Sociocultural Association from Spain and after a while I recognize part of one poster design that I made few years ago. It is part of their home/ front page and surprised me a lot. I almost forgot about this poster. Actually I designed it as a part of d celebration of d VOLUNTEER DAY and I wrote a post about. It’s great when u create something and u post it on ur blog and few years after u see ur art piece as part of some community, group, web page, portal, association. 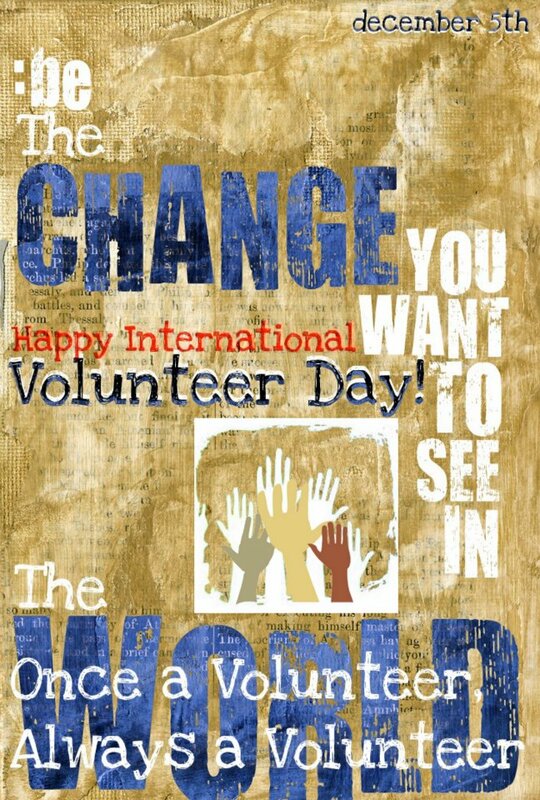 The name of d post that I wrote in that time is :International Volunteer Day & voila participation, and is actually December 5th, 2011. When I opened d site for first time I did not notice, I began to use their categories, history, their actions, what kind of projects have done, but even then I recognized the font of the letters which I had chosen. Piece of d poster poster d organization is using as a header which publicize and promote d European program Youth in Action. I am grateful to this whole situation, to my emotions, to d coincidence in d universe.To find someone by accident with someone that u do not know at all, to be a partner organization with someone from Spain who previously share something from u and is dialing a partnership with you in some way even though unconsciously, along the line of the same sensibility, creativity and message. 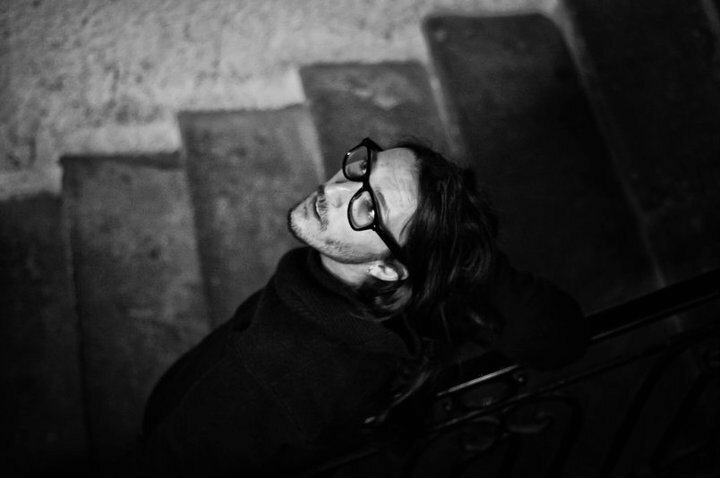 I say coincidence but I am not sure, maybe is not only coincidence, maybe is about real connections, cosmic ones. who knows?! anyway d whole situation is magical, motivational, really incentive. :Here is the ((( LINK ))) where it’s important to give ur signature because this is d only petition that is possible to help U raise our voice and stop d process. 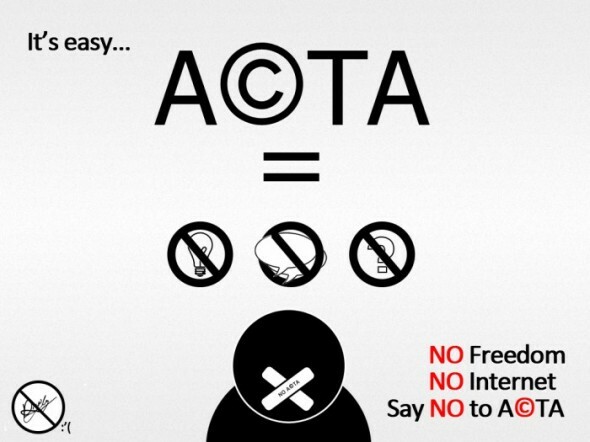 :ACTA is one more offensive against the sharing of culture on the Internet. ACTA (Anti-Counterfeiting Trade Agreement) is an agreement secretly negotiated by a small “club” of like-minded countries (39 countries, including the 27 of the European Union, the United States, Japan, etc). 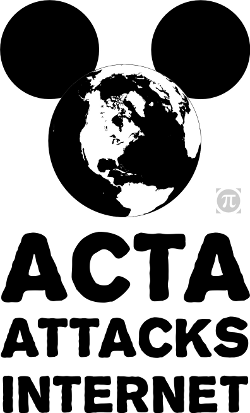 Negotiated instead of being democratically debated, ACTA bypasses parliaments and international organizations to dictate a repressive logic dictated by the entertainment industries. 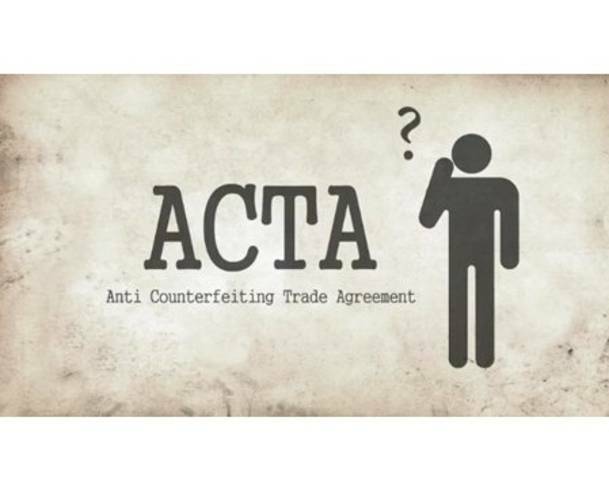 [ACTA] – ‘The Anti-Counterfeiting Trade Agreement‘ is a proposed plurilateral agreement for the purpose of establishing international standards on intellectual property rights enforcement. !Let’s fix d system NOT change IT! .. till next reading _see ya! .we can’t be sure if the are just kidding or not, but I’m pretty sure that our reality start looks like Matrix d movie. we must be aware, tolerant. .. to learn more about d self respect and respecting d environment, d people. so, I don’t wanna sound as one of them, cause as they said they are not a group, not an organization but every single оne of Us, citizen of planet Earth who pay taxes to someone who thinks that he owns this small rise in d Universe . It’s just not possible to act like kid to someone who is acting with u as u’re some funny pet, marionette or slave that is d worst cause u’re NOT. hope u sign already d petition if not u can find it in d post before. share d video, inform ur friends it’s Up to Us to build better society and more friendly and common future four our kids. we are not all terrorists in this Planet, it’s time to stop, all of this. d consequences from all this are obvious, we are not here to spread hate and other negative forms .. but if this is d answer, if d anonymous think that this will help. see y around, in better times, it was nice to talk with you! :So I do! 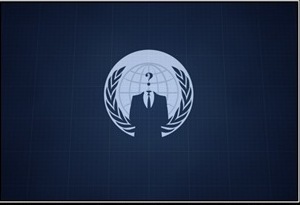 #protest #support freedom of Internet! :I was thinking to skip this because it’s not in use in Macedonia, but I stop for a moment and I said to myself: I love piracy, mostly all of d music, videos, films etc I get second hand, nobody pay for that even if someone give some money he decide by free will to uploaded for free use. crazy when u open ur regular accounts on facebook, twitter and u finds links like this, for me was pretty shocking. I couldn’t even imagine, like some bad episode from south park maybe. I RT but it was only beginning of d day, it was/ is REAL! 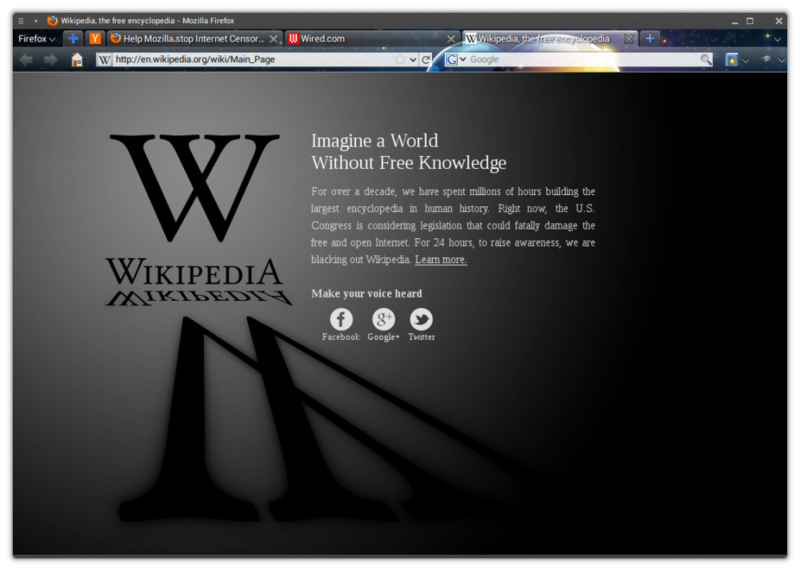 So why Wikipedia protest today? they protest against d U.S. Congress that is considering legislation that could fatally damage d free and open Internet! .d government made a very good strategy that works behind d back of d freedom of speech, journalism, sharing, d whole system that we learn till today it will be change and in d eyes of d world it’s just a small change of d privacy police and d piracy. 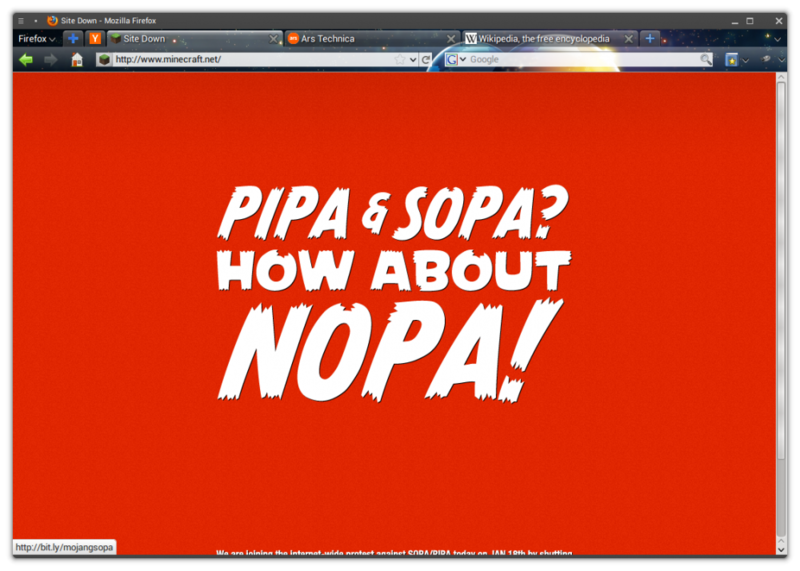 It’s not so simple as they present, after this two SOPA и PIPA become one nothing will be d same, there will be more censorship, a lot of web pages will be destroyed, closed .. even d book that are written till now will need to be changed. SOPA (Stop Online Piracy Act) is a bill introduced into the House of Representatives in October to give law enforcement and copyright holders additional tools to prevent copyright infringement, backing off another bill, PIPA, both seeking to protect corporations from the theft of imaginary property. Very often we see in Macedonia this video is not available in your country, I can’t imagine if after America (US) this is spread all around d world and most of d net content is protected/ censored or not allowed for regular use. I’m annoyed when I see once per month this situation with youtube but this will make global network silence, we definitely need to unite against this. 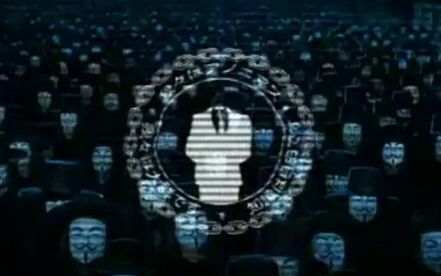 this is not what we expect and we are not criminals on Internet, we use it as regular citizens. if u think there are bad people develop better system for control and mapping..
..there are thousands and thousands of places where u can read stories about but first watch d video, then sign d petition here & here (it’s up to u where u want), then read few more stuff it’s about Us, about free mankind that knows how to act online. 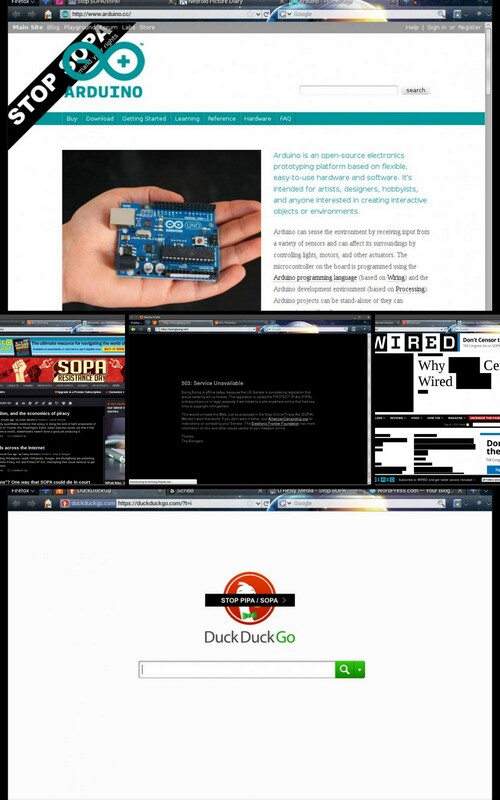 OccupyWallStreet Is on strike to protest SOPA, d BBC view points and d open letter to Washington from Artists and Creators! ::: More great videos at ██████████████████ #support Time to Protect INternet Freedom from crazy silly ideas!! ..this are part of d web pages who support d protest, there are a lot as I mention in d beginning I find this via moondowner who also wrote post on d same topic but in Macedonian. check d gallery but SIGN d PETION, really take action & inform ur friends! :don’t hesitate urself to inform ur friends and share this post with them, if not this post maybe d direct link for d petition. we are stronger if we are more, we need to keep of freedom, if we make capitalism from d free net a lot of Us will fail. and it’s not about d failure it’s about d space of development, if we change d direction now we are again on d beginning, and believe me that’s NOT so good!